Fight by the VOCALOID songs! Bring up many characters and battle by many skills! Next Generation music video game [BEMAGI]! Let's fight with other players and aim for the top in this world that controlled by magic and music. 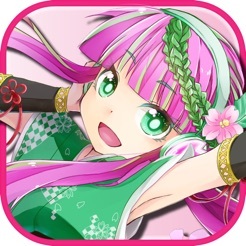 Let’s collect various kind of monsters by become beat master! Many VOCALOID songs and Unique monsters are waiting you! 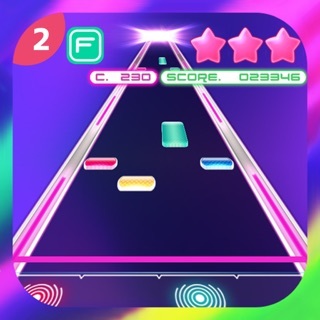 Tap the falling stone (Groove stone) to the rhythm and charge your performance gauge! You will win when your performance gauge is higher than opposite. When you tap the groove stone, you can charge your skill gauge. When skill gauge become full, you can exercise your sound skill. Let's interfere enemy by the sound skill! Let’s choose monsters and skill to get advantage in battle! By choosing a good skill and units, you might beat the formidable enemy! Even if you are beginner! ▼Let’s become stronger by scouting and growing! Let’s get new monsters by scouting and new skills for your monsters! To monsters with a strong skill, there is a need to get a scroll of skill by fighting a strong opponent! Furthermore, Monsters are Strengthened by Tuning(Composition)! Grow a monster more and more, and let’s make up the your only best unit! ▼Let’s challenge to the Events and Dungeons! You can challenge to the Events and Dungeon! Let's beat the formidable enemy and go up to the top floor! 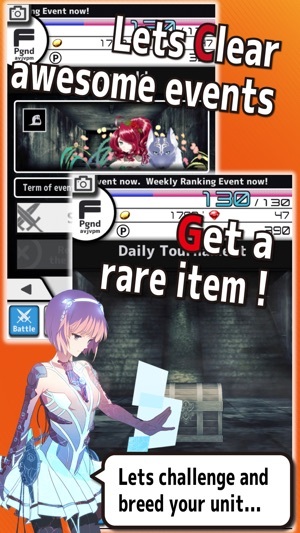 You may get some Rare Item! 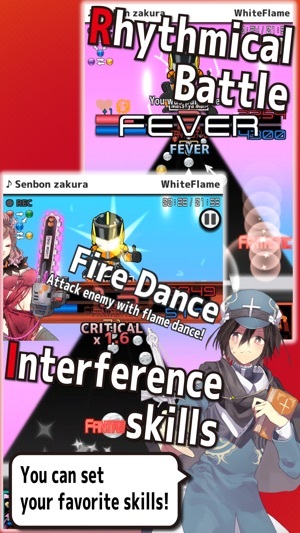 ▼Real time battle with other players ! 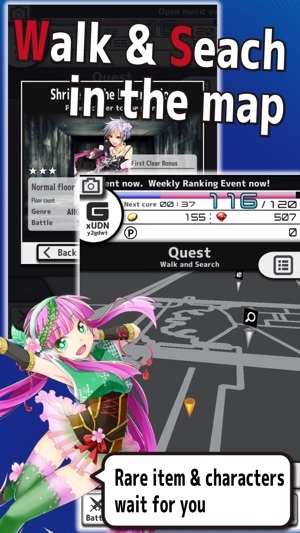 You can play against other players who live in the world of BEMAGI at the real-time ! 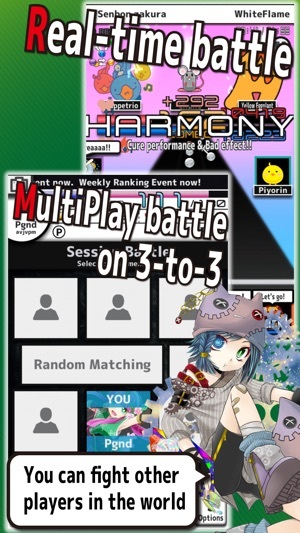 You can play not only the 1-to-1 solo battle but also 3-to-3 multi battle ! 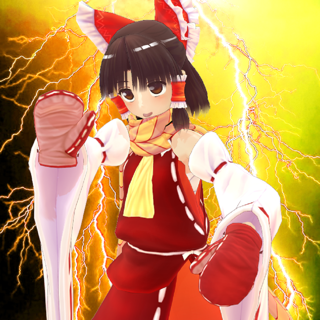 Let's fight other players by Cooperation or Hostility ! You can enjoy the treasure-hunting in QUEST mode! In the QUEST mode, you are walk around in real. You my get some Rare item that nobody knows. Not only the battle, it also features a mode that aims for high score! You can play anytime without worrying about stamina! It was equipped with a function to record a playing movie! In a special performance that was smashed by the unit of pride, let's attracted other players from all over the world. When error is occured in data or view, You can press [Cache Reset] button in the title view and reset to the home forcibly. This app provide some subscription. Contents：You can play all music in BEMAGI ( include new ). you can play always. Contents：Your stamina become infinity. If you play all time, Stamina is not down. It's a great game! 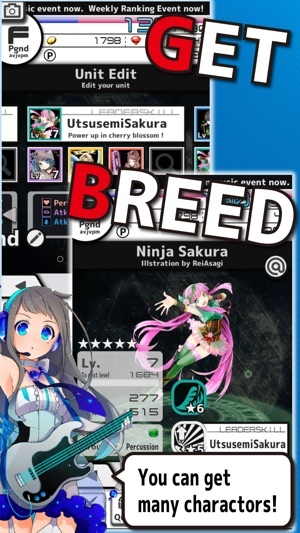 Has most popular/at least a few of the most popular Vocaloid songs, and is unique for being a game that lets you go into the negative energy. Love that idea! But I feel there should be another way to get full energy back other than just waiting or replenishing immediately, like maybe leveling up or something? I don't know, that's just one thing it doesn't have that I feel would make it better. In the past, I played this game and absolutely loved it. I stopped playing for a while, and tons of updates came, but they wouldn't download. I deleted the game, redownloaded it, deleted a lot of other apps, and it wouldn't download the game fully. It would in increments, though. I restarted my iPad, and I got a full minute further in the loading screen. It didn't work for me, it might not work for others. I just got this game and it's so addicting!!!!!!! !